Back in my day when we needed to study we had to make our own flashcards with pens and index cards. Kid’s today have it too easy, there’s an app (and website) where they can do it digitally. Or just have one of their friends share the work they already did. 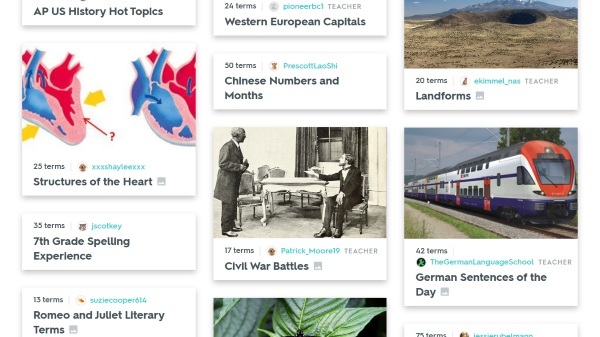 Quizlet is the website and app that helps you make tools to make learning easier. This website helps students create study guides and other tools to improve their grades. Though geared for children, this is a handy and educational site for anyone who is currently trying to learn something new. One of the cool features with this technology is that you can use other people’s study sets. If someone has already made the perfect set of flashcards, no reason to reinvent the wheel, just use theirs! Since teachers also upload material, there’s a good chance what you need is already there. The accounts are free but you can browse the different offerings even without one. Check out the website for more info or download the app on Android or Apple devices.